Kevin M. Cox December 3, 2018 February 9, 2019 No Comments on Dear Adobe: version numbers should go up! 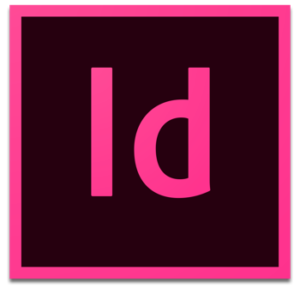 When Adobe originally released InDesign (and InCopy) CC 2019 on October 15, the applications were released as version 14.0.130. The InDesign update from last week is however numbered as version 14.0.1.209. This presents a problem for MacAdmins who control the releases of InDesign through Munki as this update is evaluated as being a lower, and thus older, version of the software. In hindsight, I have a theory about what happened here. Looking through the catalog, almost all of the other Adobe CC 2019 releases have four sequences in their numbering. Photoshop was 20.0.0.24 for example. Yet InDesign was first released only having three, so my guess is that Adobe simply missed a .0 in the middle of the initial release and it was intended to be versioned as 14.0.0.130 instead of 14.0.130. Thankfully Neagle was also quick with a helpful solution to workaround this problem in Munki. Since Adobe imports include an Installs Array the version of the package receipt on disk doesn’t matter. By retroactively changing the version number of the original release’s PkgInfo file in Munki (to 14.0.0.130), there shouldn’t be a need to fiddle with every future update of InDesign CC 2019.